Papa is very patriotic, brags Grant. Mimi says he was a strong constitution, adds Christina. 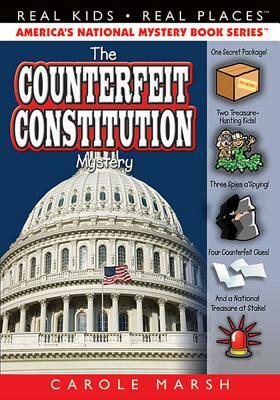 But the Constitution in jeopardy is the real U.S. Constitution Is it lost? Stolen? Fake? Real? And how are they supposed to know It's a spy vs. spy kind of mystery as Christina, Grant and their new red, white and blue (or are they spies too? ) friends follow the Constitution from its historic birth to its possible demise. We have to save it Grant insists. But how? Christina worries. Time is running out, we're being chased, and ohmygoodness look at that Join them for some mysterious fun, a capital tour, parade pandemonium and really, WILL THEY, CAN THEY SAVE THE CONSTITUTION?